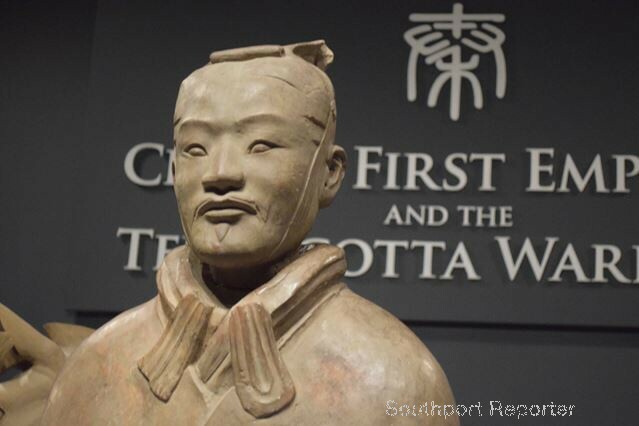 China's First Emperor and the Terracotta Warriors Exhibition is in Liverpool! Report by C and P Trollope. 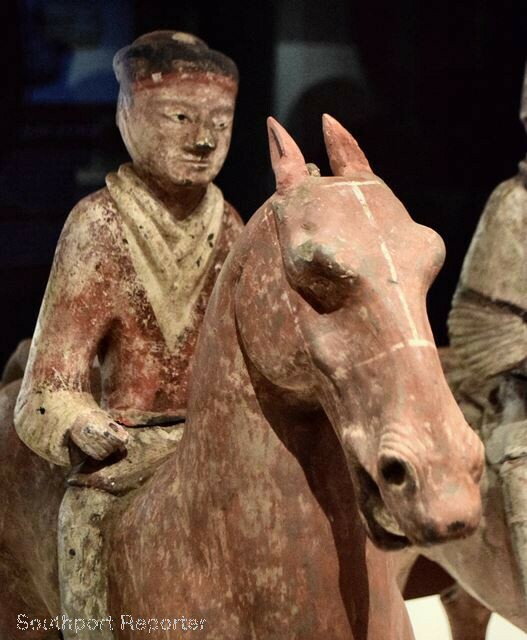 The exhibition sheds light on almost 1,000 years, formative years of the Chinese nation, from the bitter struggles of warring states in the 8th Century BC to the rise of the Qin State and the unification of China by the First Emperor in 221 BC, concluding with the peace and prosperity of the Han Dynasty (206 BC to 220 AD). The exhibit opened to the public, on Friday, 9 February 2018 and runs until the 28 October 2018. The world famous exhibits have travelled over 5,000 miles to be here. David Fleming, Director of National Museums Liverpool, said:- "This is a tremendous coup, not just for Liverpool, but for the whole of the UK. 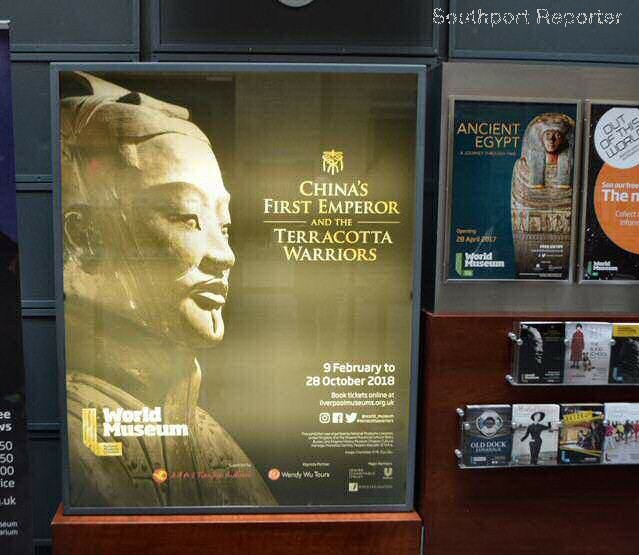 As home to one of the oldest Chinese communities in Europe, Liverpool is absolutely the right place for this exhibition, and we are hugely excited to be working with our museum colleagues in China to bring a collection of Warriors, and many other significant historical discoveries to the UK. 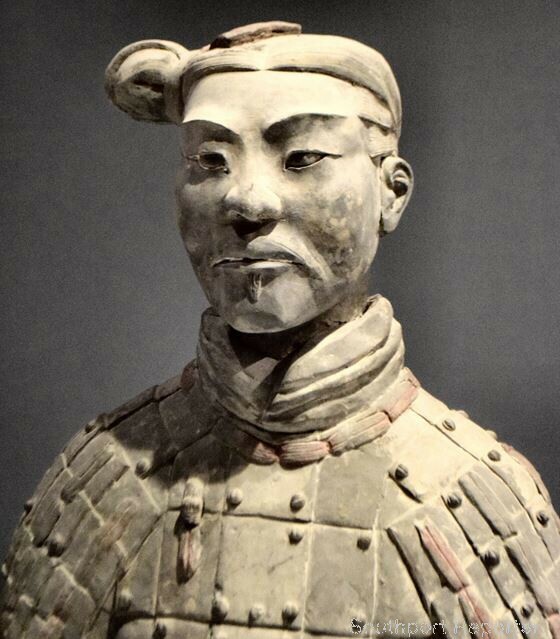 The Terracotta Warriors have found incredible fame around the world since they were discovered by chance in 1974, and this is a once in a lifetime opportunity to see them in Liverpool. We thank our partners in this endeavour, including the Department for Digital, Culture, Media and Sport. I urge everyone to attend this 'must see' show, the highlight of Liverpool's 10th Anniversary celebrations, since being the European Capital of Culture in 2008." 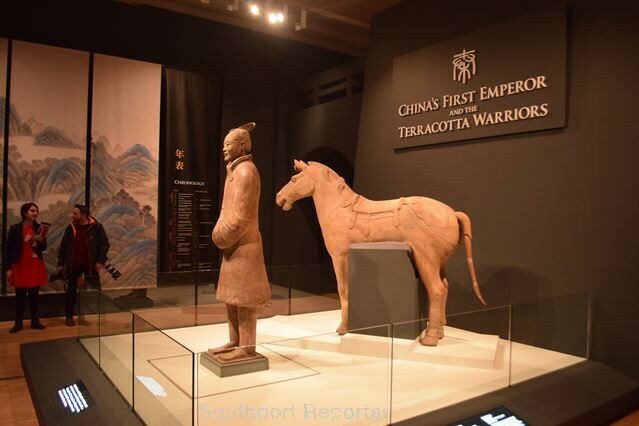 This exhibition about China's First Emperor and his Terracotta Warriors includes a selection of 500 warriors plus horses, and comes from the vast burial ground, that was believed take the First Emperor of China into the afterlife. 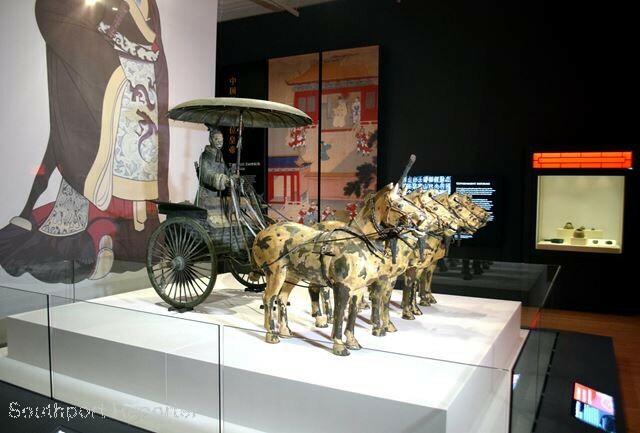 Many other exquisite objects from the Emperor's vast burial complex are also on display and include officials, animals, and domestic items which could quite easily represent things still to be seen today! 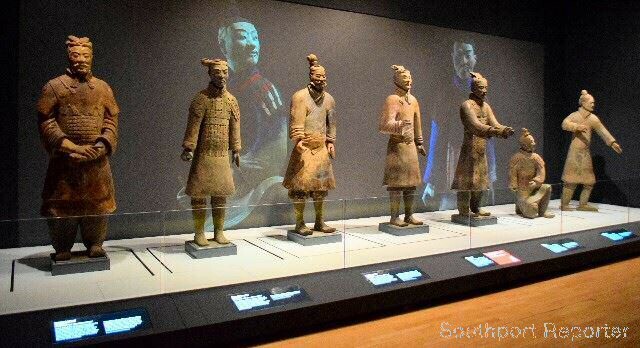 Having had the privilege of seeing it at a press viewing event, we can say it is an outstanding and exciting revelation of China's ancient history. Looking at the exhibition, you get a real sense of the skill of those ancient craftsmen and the beauty that they were capable of manufacturing. It is truly mind blowing. It was fascinating to be able to see such artefacts in such astounding condition so many years after their incarceration and is something no one should miss. 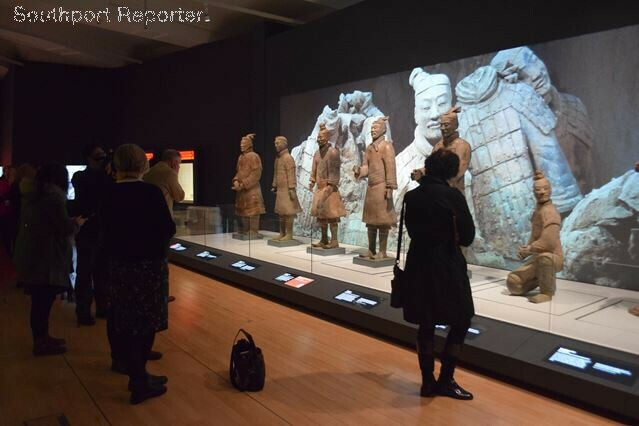 This is an out standing display of the past grandeurs of China, which the Conservators from the National Museums of Liverpool and of the Shaanxi Provincial Cultural Relics Bureau are presenting, and is a revelation of their wonderful inheritance. They have every right to be proud of their past achievements; also, we all should feel very respectful of their ancient heritage, and proud that they honour us by letting us enjoy seeing such astounding relicts of a noble past. This exhibition is not just for adults, but for the young to experience, enjoy and learn from. The Senior Education Manager, Jon Marrow said:- "This is a really remarkable opportunity for children who, in years to come, will remember this School trip." There are workshops, and trails and many different meaningful things for school visitors to see and do at this exhibition. 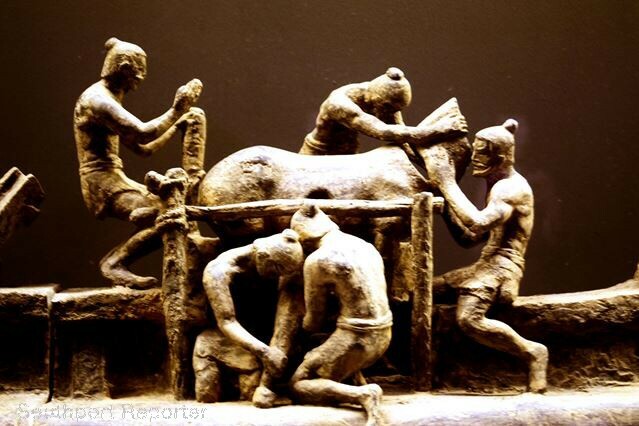 There is a 30 minute role play, about Ancient China entitled 'Rise of the Warriors' for children join in. 'The Tiger of Qin' archaeology workshop, which is a hands on investigation, is also available for school parties at key stage 2. For us to describe in more detail might lessen the impact and our photographs cannot adequately cover the experience, so do make that visit yourself! In St George's, Liverpool, Hall from now until 3 June 2018, is an event which offers a window into Chinese Contemporary Art. 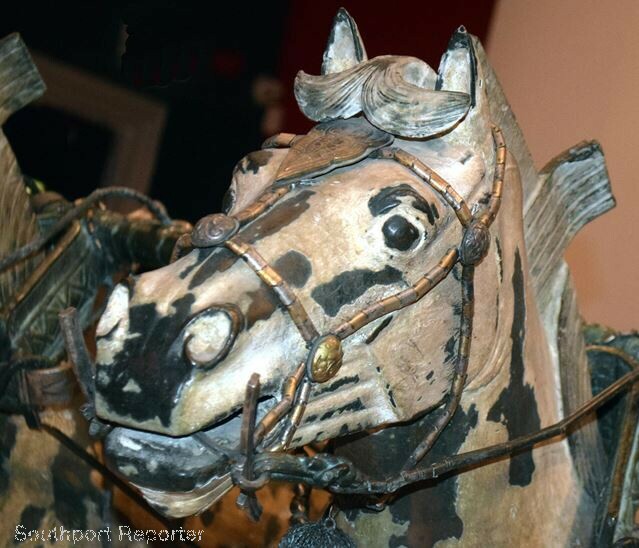 This celebrates the current relationship of Liverpool with China and looks forward to the future. There are art works from China, Hong Kong and Taiwan. These will be replaced by the Dragon Boat Festival entitled:- 'This is Shanghai,' during July and August 2018 and then from 24 September to 28 October 2018, the Moon Festival, Everyday Legend, by Chinese musicians and artists in various locations. On 11 February 2018, The Chinese Lanterns Festival:- Discover the story and method of making Chinese lanterns. Having made yours, take it away with you to celebrate the coming of Spring, on 2 March 2018. On Friday, 17 February 2018, from Noon to 4pm the Chinese New Year 2018:- Celebrations are held at the onset of The Year of the Dog. There will be Lion and Dragon dancing, music and crafts. Drop in! No booking! 24 February and 25 February 2018 Chinese Zodiac masks:- Learn all about the Chinese Calendar, and find out your animal year in the list of 12 Chinese annual animals and make your zodiac Dog mask at the festival. No booking necessary, just drop in, between 1pm to 4pm. For more information visit:- ChinaDreamLiverpool.Com. 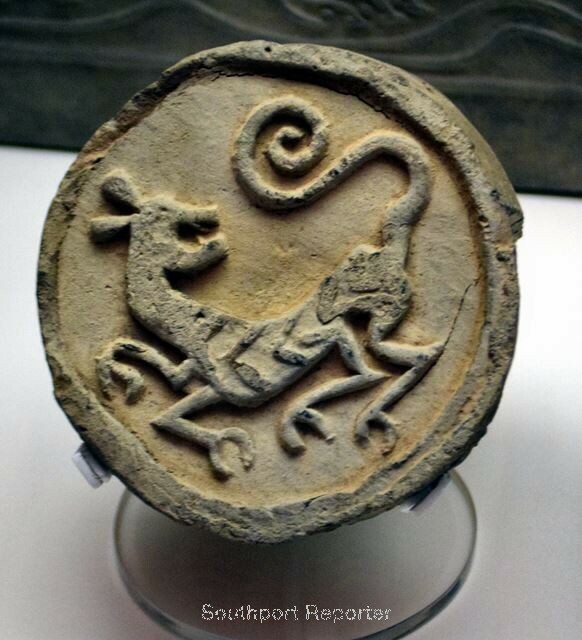 For further information about other Chinese Events and Festivals go to:- CultureLiverpool.Co.UK. Tickets are priced from ₤14.50 for adults and ₤5.50 for children aged between 6 and 17 years. Children aged 5 years and under go free and there are a number of additional concessions. 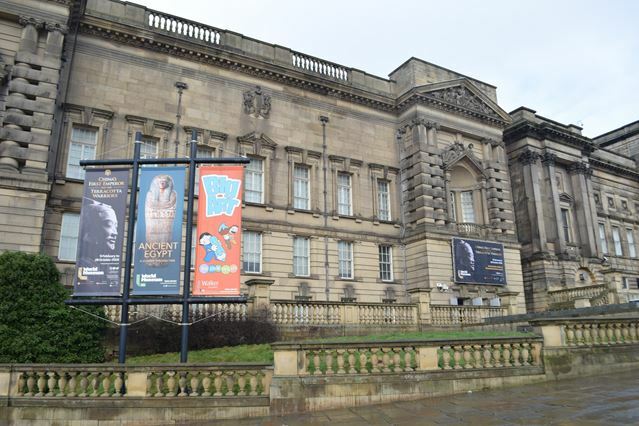 National Museums Liverpool members get free unlimited access to the exhibition. 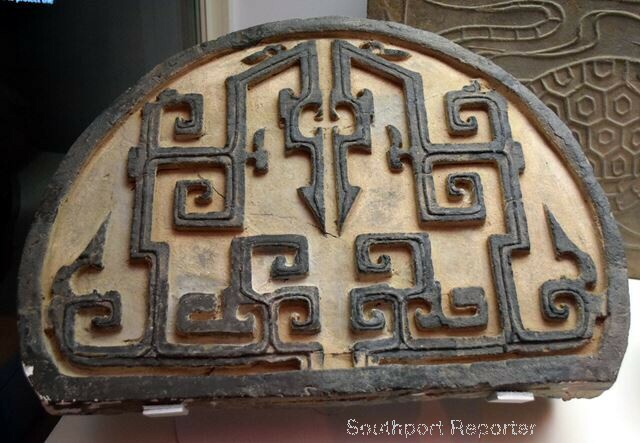 Further details of prices and how to book tickets can be found on:- LiverpoolMuseums.Org.UK. 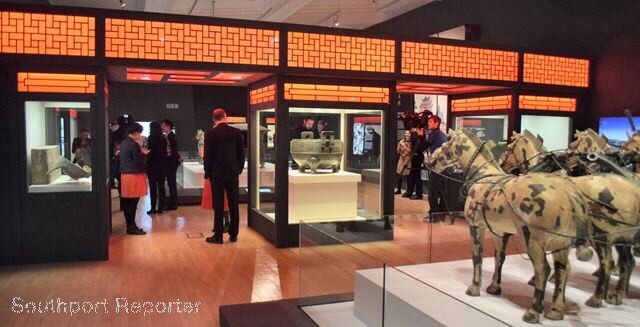 The exhibition is organised by National Museums Liverpool, United Kingdom and the Shaanxi Provincial Cultural Relics Bureau and Shaanxi History Museum (Shaanxi Cultural Heritage Promotion Centre), People's Republic of China. 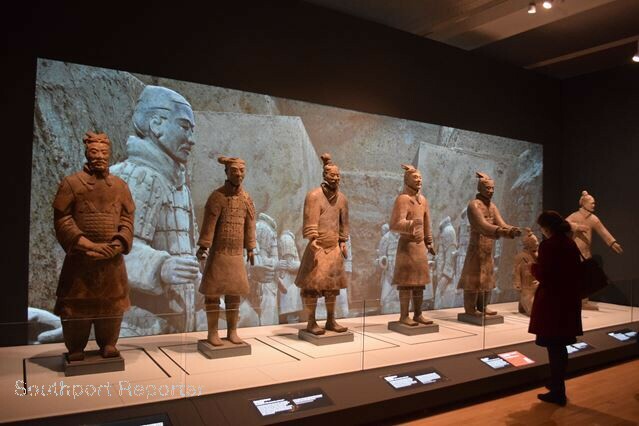 Official sponsors are:- Tianjin Airlines Co Ltd, Quilter Cheviot Investment Management, Signature Living and London Stock Exchange Group, as well as several individuals who are also Terracotta Warrior Partners. 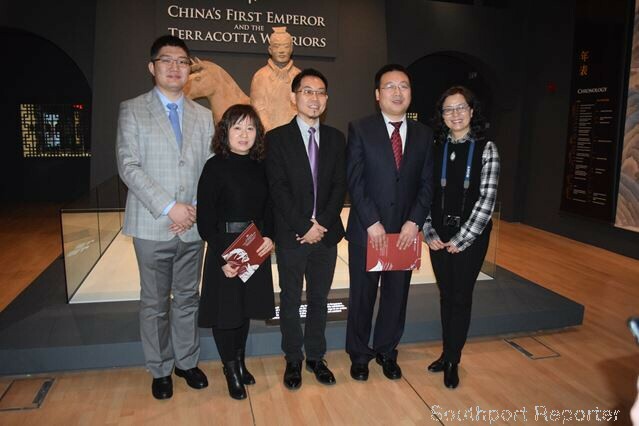 Zengjiun Wei the Vice Governor of Shaanxi Province, Guangua Fang, Vice Mayor of Xi'an and delegation. 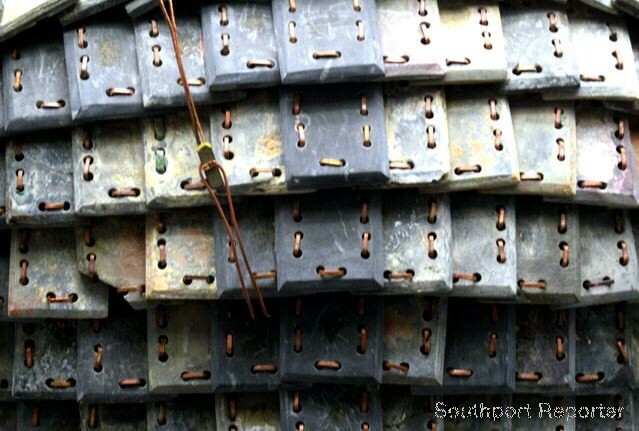 If you go and see this exhibit please do let us know what you think of it by emailing us to:- news24@southportreporter.com or post your comments to our Twitter account or on our Facebook Page. 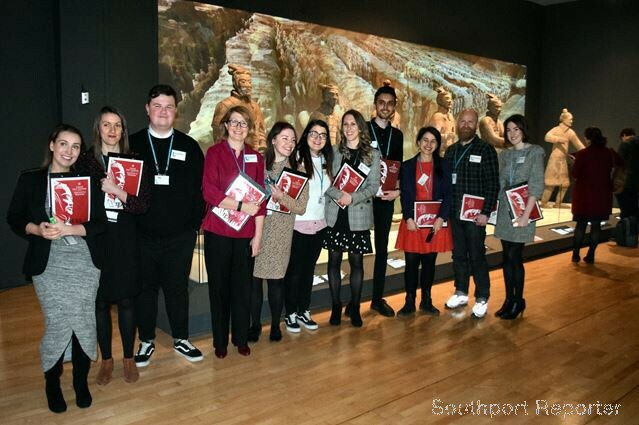 Editors note:- I would like to compliment Liverpool Museum on the design of this exhibition, that is extremely effective and also very easy to follow. 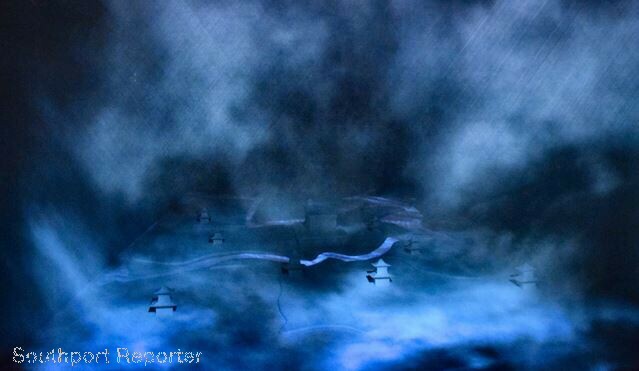 This is 1 of the best layouts and use of colours we have seen for an exhibit like this.